Abide In Christ Kjv Archives - Ignite Christian Church As I started my Bible Reading Plan last week, I read Psalm 1, and it refers to the man blessed like this: Psalms 1:3 (ESV Strong's) He is like a tree planted by streams of water that yields its fruit in its season, and its leaf does not wither. In all that he does, he prospers. Wouldn’t you love to see that as a description out your own life, and this church? So how can we prosper in everything we do, and yield huge amounts of high quality fruit that lasts? John 15:1-10 (ESV Strong's) “I am the true vine, and my Father is the vinedresser. Every branch in me that does not bear fruit he takes away, and every branch that does bear fruit he prunes, that it may bear more fruit. Already you are clean because of the word that I have spoken to you. Abide in me, and I in you. As the branch cannot bear fruit by itself, unless it abides in the vine, neither can you, unless you abide in me. I am the vine; you are the branches. Whoever abides in me and I in him, he it is that bears much fruit, for apart from me you can do nothing. If anyone does not abide in me he is thrown away like a branch and withers; and the branches are gathered, thrown into the fire, and burned. If you abide in me, and my words abide in you, ask whatever you wish, and it will be done for you. By this my Father is glorified, that you bear much fruit and so prove to be my disciples. As the Father has loved me, so have I loved you. Abide in my love. If you keep my commandments, you will abide in my love, just as I have kept my Father's commandments and abide in his love. POSITIVE RESULTS: When you begin to inject these fruitful attitudes into your society, you’re going to see constructive, tangible and positive results. POSITIVE RELATIONSHIPS: You will begin to develop fruitful relationships with others, and people will love being around you. POSITIVE REACTIONS: When your attitude is positive, even if things go badly or someone unjustly attacks you, your reaction is going to be positive, and before you know it, other’s reactions to you will be positive also. POSITIVE REINFORCEMENT: Life is like a mirror; what you show is what you see; what you put in is what you get out. When you encourage others, you’ll find that they will encourage you. Attitudes are contagious. We need to realise that our potential for fruitful living is unlimited because of our power source. Jesus says in John 15:1 that He is the power source, He is the vine. Galatians 2:20 (ESV Strong's) I have been crucified with Christ. It is no longer I who live, but Christ who lives in me. And the life I now live in the flesh I live by faith in the Son of God, who loved me and gave himself for me. Many of us try to live a good life, but we have it all wrong, because we cannot do this in our own strength. It’s not my resources, but Christ’s resources in and through me! I remember on one rare occasion I vacuumed the house, that I stretched the cord and then found my appliance died. I thought, “Oh great, now the vacuum is dead,” but then I realised that it works better if plugged in, and I had accidentally unplugged it. My vacuum became a broom because it was disconnected. Unplug from the power source, and you cannot produce the fruit you want to produce in your own strength. In John 15:1, Jesus says that He is the vine, but God the Father is the vinedresser. But God is more than an employee, He is the actual owner of the vineyard. Ever heard the term, “Skin in the game?” It means you have ownership, and suddenly when you own it, the results become very important, because you’re invested! No one washes or services a rental car before they return it, but if you own a car, especially if you’re a rev head and cars are important to you, you service and clean it regularly. Some Christians fear connecting to God because think that if they abide in the vine then God will make them endure pain, adversity and strife instead of joy. They forget that God says, Jeremiah 29:11 (ESV Strong's) For I know the plans I have for you, declares the Lord, plans for welfare and not for evil, to give you a future and a hope. Ownership makes a difference. God owns us, so when he looks at our lives, he looks at them not as a casual observer but as an investor, and He is invested in us prospering and producing quality fruit! Our potential for fruitful living is unlimited because Jesus is our source. The fact that God is our owner or proprietor adds to that potential. One of the things God does as skilful and knowledgeable vinedresser is to prune or purge us. He knows that pruning, while it might be painful at the time, greatly increases our potential for fruitful living. John 15:2 (ESV Strong's) Every branch in me that does not bear fruit he takes away, and every branch that does bear fruit he prunes, that it may bear more fruit. The Greek word for prune is kathairō; meaning to cleanse, to prune; to purge of filth impurity, or to prune trees and vines from useless shoots. Your Father as the vinedresser, removes everything that hinders your usefulness. He knows that if he doesn’t cut back the deadwood, all of our resources will go toward producing more wood and we won’t be fruit producers. I have found that fruitful, productive people are continually being pruned, going through whatever God the experts sees fit to make them more fruitful. And God knows exactly what to prune from our lives. He might even now be placing His finger on a persistent sin in your life, or a destructive relationship that always stops you being fruitful. It might be a dependency, it might be a comfort zone, but whatever it is, let Him prune it away, however painful, because that is how God produces fruit and that is the end game! Our potential for fruitfulness is also tremendous because of our partnership. We do not sit idly by watching the fruit appear, we are an active part of it and we too need to be fully invested! I am a terrible gardner, and I stand in awe of people like Betty who seem to have a green thumb. I’m not a bad gardener because I lack intelligence, and with google and garden centres, none of us really lack the knowledge. I’m terrible because I just don’t care! I stick something in the ground, and it’s Gods problem from there. A pastor one time looked at a beautiful garden and commented to the gardner how awesome God was creating all that. The gardener replied that he had a part in it too, and you should have seen the mess when God had it to Himself! John 15:4 (ESV Strong's) Abide in me, and I in you. As the branch cannot bear fruit by itself, unless it abides in the vine, neither can you, unless you abide in me. Ten times in verses 4–10 we see the word abide. Basically Jesus is saying, “Connect with the vine, and everything will be fine.” It is our privilege to partner with God in bearing fruit. This should affect how we see everything. The growth in this church… it’s all His, not mine or yours. Your family, your job, your home, your finances, you must realise that it’s not all about you, it’s your willingness to partner with Him that bears the fruit. Don’t take all the credit! John Maxwell tells the story of the mouse who crossed a bridge over a deep ravine with an elephant. As the elephant and the mouse crossed the bridge, the bridge shook. When they reached the other side, the mouse said to the elephant, “Boy, we really shook that bridge, didn’t we?” Of course a mouse can’t shake a bridge, but when it teams up with an elephant, yes it can. John 15:7 (ESV Strong's) If you abide in me, and my words abide in you, ask whatever you wish, and it will be done for you. Notice two things, first that the promise is conditional: if we abide in him. Second, our asking needs to be according to his Word. What Jesus is really saying is that if we abide in him, then our delight will be in him, so much so that we will ask all things according to his will. This verse is not, as some will tell you, a formula for getting what we want from God. I’m so sick of hearing people trying to manipulate God into doing their will instead of them abiding in Him and doing His will! God is not your celestial Santa Clause. He does not have to bring you what you want, and all your prayers, good behaviour or manipulation does not make Him your servant! Psalms 37:4 (ESV Strong's) Delight yourself in the Lord, and he will give you the desires of your heart. I get up every morning and have a quiet time. I spend the first hour or so with the Lord almost every day, and I do this because I want to abide in Him! I am reading through the Bible plan. I cannot tell you how many times something I read in my quiet time comes out in my day somewhere. I just delight in God and His Word every morning, and He leads and guides me through the day, and my desires merge with His! John 15:8 (ESV Strong's) By this my Father is glorified, that you bear much fruit and so prove to be my disciples. Our purpose in life is not to pursue happiness but to bear fruit and thus bring God glory. In the same chapter Jesus says, John 15:16 (ESV Strong's) You did not choose me, but I chose you and appointed you that you should go and bear fruit and that your fruit should abide, so that whatever you ask the Father in my name, he may give it to you. We must not be floundering around trying to be rich or famous, or just trying to survive the day and get through life. No, we have been chosen, appointed by God, for fruitful living. Those active, positive attitudes, like love, joy, peace, etc, ought to be becoming a part of our lives. Then others notice and want them too! The problem so often with us Christians is that we do not show these positive attitudes that can make us salt and light in our world. Christians should be like tea bags… our true colour comes out in hot water. We don’t bear the fruit God wants us to, because we are missing our purpose! Billy Sunday said, "More men fail through lack of purpose than lack of talent." No Christian becomes fruitful without obedience. Our potential for fruitfulness is tremendous only when we prioritise obedience. John 15:5-7 (ESV Strong's) I am the vine; you are the branches. Whoever abides in me and I in him, he it is that bears much fruit, for apart from me you can do nothing. If anyone does not abide in me he is thrown away like a branch and withers; and the branches are gathered, thrown into the fire, and burned. If you abide in me, and my words abide in you, ask whatever you wish, and it will be done for you. Clearly God is pretty serious about obedience, and that little word “if” is disturbing. Jesus doesn’t say, “If I do not abide in you.” He’s promised He is there for us. His question is, “Are you going to be connected to me? Jesus has the power; He has the strength; He has the wisdom to implant in us; He has all the resources that we need to become fruitful, and he’s ready to deliver. All we need to do is to stay connected him. It takes effort, and it takes obedience! Why don’t we always abide in Him? Why do we disconnect? Pure lack of obedience! We think that we can do it on our own; we begin to have an unhealthy self-confidence instead of confidence in Christ. When we do not have active, positive, fruitful attitudes, it is because we aren’t plugged into the vine. Christians should not have to psych themselves up every day or get inspired once a week at church, we should stay connected every day and develop active, positive, fruitful attitudes… every single day! If we prioritise obedience, becoming fruitful will be as natural as breathing because the relationship is right, and the connection is right. Why should God lead you into a full productive life if you refuse to obey Him? If you think you can achieve everything God wants for you in your own strength, go ahead, knock yourself out! You will quickly understand that, if you are disconnected from the vine that is Christ, if you are not obedient in spending time with Him, spending time with His people and obeying Him, then you are destined for disaster. And even if you achieve success, you will discover the prize worthless ultimately! Listen I know that connectivity costs, but we must not focus on the cost, but focus on the fruit, the destiny God has for you. Nothing is achieved by anyone without cost. Jesus gives us a three-word formula for fruitfulness in John 15. These three words are the ones I want you to remember, because they are the key to fruitful living. REMAIN: The first word is remain. John 15:4-5 (ESV Strong's) Abide in me, and I in you. As the branch cannot bear fruit by itself, unless it abides in the vine, neither can you, unless you abide in me. I am the vine; you are the branches. Whoever abides in me and I in him, he it is that bears much fruit, for apart from me you can do nothing. Throughout John 15, Jesus tells us to remain. “Remain in Me,” Jesus says. What is Jesus referring to? He’s talking about our willingness to take time with him in prayer and in study of the Word. We need to let Him begin to be part of our lives and work on our lives. If you really want to live a fruitful life, there is no short cut. Come, join us in the Bible Reading Plan, start it and determine in your heart to not stop, even if you get discouraged. I promise you, no, God promises you that your life will never be the same if you read His Word and pray daily. RECEIVE: The second word in the formula is receive. Jesus says in John 15 that if we remain in him, we will begin to receive certain things. What we’ll receive is good, fruitful and yes, prosperous living. Jeremiah 29:11-13 (ESV Strong's) For I know the plans I have for you, declares the Lord, plans for welfare and not for evil, to give you a future and a hope. Then you will call upon me and come and pray to me, and I will hear you. You will seek me and find me, when you seek me with all your heart. When you seek Him, when you remain or abide in Him, then you prosper, and not just financially, but in every way right through your life, relationships, destiny and everything! REPRODUCE: The third word is reproduce. If we remain in him, we’re going to receive what he has for us; then and only then will we begin to reproduce such fruit in our lives. When we obey and remain in Him, others will see the difference and want what we have. 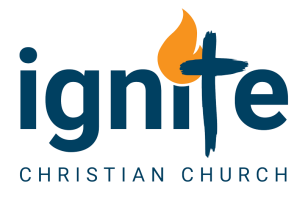 We begin to reproduce fruit in the lives of others, and Ignite Church is the sum of all of our fruitfulness. We can and will grow and produce fruit in the lives of our community if we all learn to abide in Him. Step out in faith, try something different, something scary. Climb out on the limb; that’s where the fruit is. All great accomplishments have to begin with an initial decision, so join me now and make up your mind that you’re going to be a fruitful Christian, that you’re going to begin to reproduce for Christ. Last week I challenged you to commit, with me, to Reading our Bible Reading Plan every day. Today I repeat that challenge… if you want to truly start abiding in Him, the first, tangible step is to commit to spending time with Him. So join us in our Reading Plan, if you don’t already have one? What you plant determines the fruit, so plant the right thing. Plant Gods Word into your heart, starting right now, and let’s commit together to growing fruit here at Ignite, in our homes, in our businesses, in our relationships and in our eternities. John 15:8 (ESV Strong's) By this my Father is glorified, that you bear much fruit and so prove to be my disciples. What promise are you asking God for this year? What fruit are you seeking to bear, and what are you planting? Learning to abide in Christ is an essential but not an easy thing. Last week I talked about the New Horizons we face as a church, so today I want to drill down into that and look at how we as individuals can make a difference in this world this year, and see true fruit that lasts in our ministries, church and lives. and its leaf does not wither. In all that he does, he prospers. Wouldn’t you love to see that as a description out your own life, and this church? So how can we prosper in everything we do, and yield huge amounts of high quality fruit that lasts? “I am the true vine, and my Father is the vinedresser. Every branch in me that does not bear fruit he takes away, and every branch that does bear fruit he prunes, that it may bear more fruit. Already you are clean because of the word that I have spoken to you. Abide in me, and I in you. As the branch cannot bear fruit by itself, unless it abides in the vine, neither can you, unless you abide in me. I am the vine; you are the branches. Whoever abides in me and I in him, he it is that bears much fruit, for apart from me you can do nothing. If anyone does not abide in me he is thrown away like a branch and withers; and the branches are gathered, thrown into the fire, and burned. If you abide in me, and my words abide in you, ask whatever you wish, and it will be done for you. By this my Father is glorified, that you bear much fruit and so prove to be my disciples. As the Father has loved me, so have I loved you. Abide in my love. If you keep my commandments, you will abide in my love, just as I have kept my Father's commandments and abide in his love. The word translated abide in John 15 is the Greek word menō which means to stay, endure or remain in a given place, state, relation or expectancy. It means to wait and remain attached to the vine. So what was Jesus saying? The image of a vine was often used for the nation of Israel, but in this case, Jesus clearly identifies Himself as the true vine, and us, you and I, His church as the branches. To summarise the chapter, Jesus is saying stay attached to Him, don’t separate and go it alone, and that you either bear fruit, or get prune off and destroyed. Does this mean I grow apples out of my ears? Jesus was talking about living a fruitful life, but what does He mean by fruitful? the fruit of the Spirit is love, joy, peace, patience, kindness, goodness, faithfulness, gentleness, self-control; against such things there is no law. Living a fruitful and prosperous life is about producing those qualities, what we might call positive, active attitudes on a daily basis in our lives. And Ignite Church’s fruitfulness is the sum of all of us producing said fruit in our lives personally. Christians often tell me they’re not really happy; they say they’re unfulfilled. They talk about not having joy in their lives. I get the impression that seeking joy has become their main purpose in life. But here’s the thing… joy (or happiness or fulfilment) comes to us not when we seek it, but when we put the right principles into practice in our lives. Joy and happiness and not ends in themselves, they are by-product of doing what is right, of abiding in Him and seeking first His Kingdom and His righteousness! We need to realise that our potential for fruitful living is unlimited because of our power source. Jesus says in John 15:1 that He is the power source, He is the vine. Many of us try to live a good life, but we have it all wrong, because we cannot do this in our own strength. It’s not my resources, but Christ’s resources in and through me! I remember on one rare occasion I vacuumed the house, that I stretched the cord and then found my appliance died. I thought, “Oh great, now the vacuum is dead,” but then I realised that it works better if plugged in, and I had accidentally unplugged it. My vacuum became a broom because it was disconnected. Unplug from the power source, and you cannot produce the fruit you want to produce in your own strength. In John 15:1, Jesus says that He is the vine, but God the Father is the vinedresser. But God is more than an employee, He is the actual owner of the vineyard. Ever heard the term, “Skin in the game?” It means you have ownership, and suddenly when you own it, the results become very important, because you’re invested! No one washes or services a rental car before they return it, but if you own a car, especially if you’re a rev head and cars are important to you, you service and clean it regularly. Ownership makes a difference. God owns us, so when he looks at our lives, he looks at them not as a casual observer but as an investor, and He is invested in us prospering and producing quality fruit! Our potential for fruitful living is unlimited because Jesus is our source. The fact that God is our owner or proprietor adds to that potential. One of the things God does as skilful and knowledgeable vinedresser is to prune or purge us. He knows that pruning, while it might be painful at the time, greatly increases our potential for fruitful living. The Greek word for prune is kathairō; meaning to cleanse, to prune; to purge of filth impurity, or to prune trees and vines from useless shoots. Your Father as the vinedresser, removes everything that hinders your usefulness. He knows that if he doesn’t cut back the deadwood, all of our resources will go toward producing more wood and we won’t be fruit producers. I have found that fruitful, productive people are continually being pruned, going through whatever God the experts sees fit to make them more fruitful. And God knows exactly what to prune from our lives. He might even now be placing His finger on a persistent sin in your life, or a destructive relationship that always stops you being fruitful. It might be a dependency, it might be a comfort zone, but whatever it is, let Him prune it away, however painful, because that is how God produces fruit and that is the end game! Our potential for fruitfulness is also tremendous because of our partnership. We do not sit idly by watching the fruit appear, we are an active part of it and we too need to be fully invested! I am a terrible gardner, and I stand in awe of people like Betty who seem to have a green thumb. I’m not a bad gardener because I lack intelligence, and with google and garden centres, none of us really lack the knowledge. I’m terrible because I just don’t care! I stick something in the ground, and it’s Gods problem from there. A pastor one time looked at a beautiful garden and commented to the gardner how awesome God was creating all that. The gardener replied that he had a part in it too, and you should have seen the mess when God had it to Himself! Ten times in verses 4–10 we see the word abide. Basically Jesus is saying, “Connect with the vine, and everything will be fine.” It is our privilege to partner with God in bearing fruit. This should affect how we see everything. The growth in this church… it’s all His, not mine or yours. Your family, your job, your home, your finances, you must realise that it’s not all about you, it’s your willingness to partner with Him that bears the fruit. Don’t take all the credit! John Maxwell tells the story of the mouse who crossed a bridge over a deep ravine with an elephant. As the elephant and the mouse crossed the bridge, the bridge shook. When they reached the other side, the mouse said to the elephant, “Boy, we really shook that bridge, didn’t we?” Of course a mouse can’t shake a bridge, but when it teams up with an elephant, yes it can. Notice two things, first that the promise is conditional: if we abide in him. Second, our asking needs to be according to his Word. What Jesus is really saying is that if we abide in him, then our delight will be in him, so much so that we will ask all things according to his will. This verse is not, as some will tell you, a formula for getting what we want from God. I’m so sick of hearing people trying to manipulate God into doing their will instead of them abiding in Him and doing His will! God is not your celestial Santa Clause. He does not have to bring you what you want, and all your prayers, good behaviour or manipulation does not make Him your servant! I get up every morning and have a quiet time. I spend the first hour or so with the Lord almost every day, and I do this because I want to abide in Him! I am reading through the Bible plan. I cannot tell you how many times something I read in my quiet time comes out in my day somewhere. I just delight in God and His Word every morning, and He leads and guides me through the day, and my desires merge with His! By this my Father is glorified, that you bear much fruit and so prove to be my disciples. We must not be floundering around trying to be rich or famous, or just trying to survive the day and get through life. No, we have been chosen, appointed by God, for fruitful living. Those active, positive attitudes, like love, joy, peace, etc, ought to be becoming a part of our lives. Then others notice and want them too! The problem so often with us Christians is that we do not show these positive attitudes that can make us salt and light in our world. Christians should be like tea bags… our true colour comes out in hot water. We don’t bear the fruit God wants us to, because we are missing our purpose! Billy Sunday said, "More men fail through lack of purpose than lack of talent." No Christian becomes fruitful without obedience. Our potential for fruitfulness is tremendous only when we prioritise obedience. I am the vine; you are the branches. Whoever abides in me and I in him, he it is that bears much fruit, for apart from me you can do nothing. If anyone does not abide in me he is thrown away like a branch and withers; and the branches are gathered, thrown into the fire, and burned. If you abide in me, and my words abide in you, ask whatever you wish, and it will be done for you. Clearly God is pretty serious about obedience, and that little word “if” is disturbing. Jesus doesn’t say, “If I do not abide in you.” He’s promised He is there for us. His question is, “Are you going to be connected to me? Jesus has the power; He has the strength; He has the wisdom to implant in us; He has all the resources that we need to become fruitful, and he’s ready to deliver. All we need to do is to stay connected him. It takes effort, and it takes obedience! Why don’t we always abide in Him? Why do we disconnect? Pure lack of obedience! We think that we can do it on our own; we begin to have an unhealthy self-confidence instead of confidence in Christ. When we do not have active, positive, fruitful attitudes, it is because we aren’t plugged into the vine. Christians should not have to psych themselves up every day or get inspired once a week at church, we should stay connected every day and develop active, positive, fruitful attitudes… every single day! If we prioritise obedience, becoming fruitful will be as natural as breathing because the relationship is right, and the connection is right. Why should God lead you into a full productive life if you refuse to obey Him? If you think you can achieve everything God wants for you in your own strength, go ahead, knock yourself out! You will quickly understand that, if you are disconnected from the vine that is Christ, if you are not obedient in spending time with Him, spending time with His people and obeying Him, then you are destined for disaster. And even if you achieve success, you will discover the prize worthless ultimately! Listen I know that connectivity costs, but we must not focus on the cost, but focus on the fruit, the destiny God has for you. Nothing is achieved by anyone without cost. Throughout John 15, Jesus tells us to remain. “Remain in Me,” Jesus says. What is Jesus referring to? He’s talking about our willingness to take time with him in prayer and in study of the Word. We need to let Him begin to be part of our lives and work on our lives. If you really want to live a fruitful life, there is no short cut. Come, join us in the Bible Reading Plan, start it and determine in your heart to not stop, even if you get discouraged. I promise you, no, God promises you that your life will never be the same if you read His Word and pray daily. Jesus says in John 15 that if we remain in him, we will begin to receive certain things. What we’ll receive is good, fruitful and yes, prosperous living. When you seek Him, when you remain or abide in Him, then you prosper, and not just financially, but in every way right through your life, relationships, destiny and everything! Last week I challenged you to commit, with me, to Reading our Bible Reading Plan every day. Today I repeat that challenge… if you want to truly start abiding in Him, the first, tangible step is to commit to spending time with Him. So join us in our Reading Plan, if you don’t already have one? What you plant determines the fruit, so plant the right thing. Plant Gods Word into your heart, starting right now, and let’s commit together to growing fruit here at Ignite, in our homes, in our businesses, in our relationships and in our eternities. What promise are you asking God for this year? What fruit are you seeking to bear, and what are you planting?